Domain name play an vital role in your blog or website. According to me, choosing a domain name is one of the most important aspects of creating a new blog/website. As we all know that domain names are like the real estate property of the Internet. So choose your domain name wisely, because it is very important. According to me .com extension are widely used in everywhere and everyone easily follow and remember it. 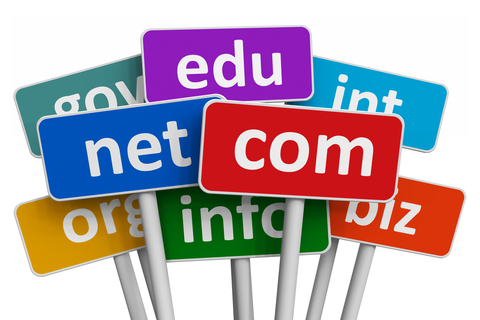 In this article i would like to share an important tips and characteristics on how to choose domain name? what are its benefits and characteristics? Lets have a look! 1) Your domain name must be short, simple and unique. People generally forgot the long domain name so its better to choose the shortest name. As for the number of words, one-word domains are gold, two-word ones are good, three-word domains are average, and above that it is usually a bad/worst idea. 2) Choose that name which is easy to spell. And easily recognize by others. According to me use simple words to create an good domain name. Many people do not use bookmarks so if your domain name is easily remember to others than they just write your domain name and visit there. But if your domain name is complex and not easily to pronoun than you will just lost your traffic. 3) Avoid the use of hyphens and any special symbols. Blogs who have a hyphen are usually signing their death wish. People think that hyphens are the quick fix solution to an unavailable domain name. But its not true. Make simple your domain name as you can. 4) Most important characteristics, many organizations might prefer to register a .org domain, and many MNC's companies targeting very specific geographical regions might want to register a local domain (e.g. .it, .co.uk, .cn, .net and so on). .com names are the best, since it is the extension most people think of when they try to recall a web address. 5) Don’t include numbers in your domain name. Unless they are part of your brand name, numbers in your web address scream, “Spam!” According to me numbers will confuse your audience to open your website/blog. Even numbers will confuse the people how to spell it. So avoid to use the numbers in your domain name. So if you are really wanted to gain high traffic than you must grab these points and adopt this characteristics while choosing an domain name. No, i don't write articles for any other blogs. I do guest postings rarely.